The duo makes their way from E! to Atlanta with their EP. 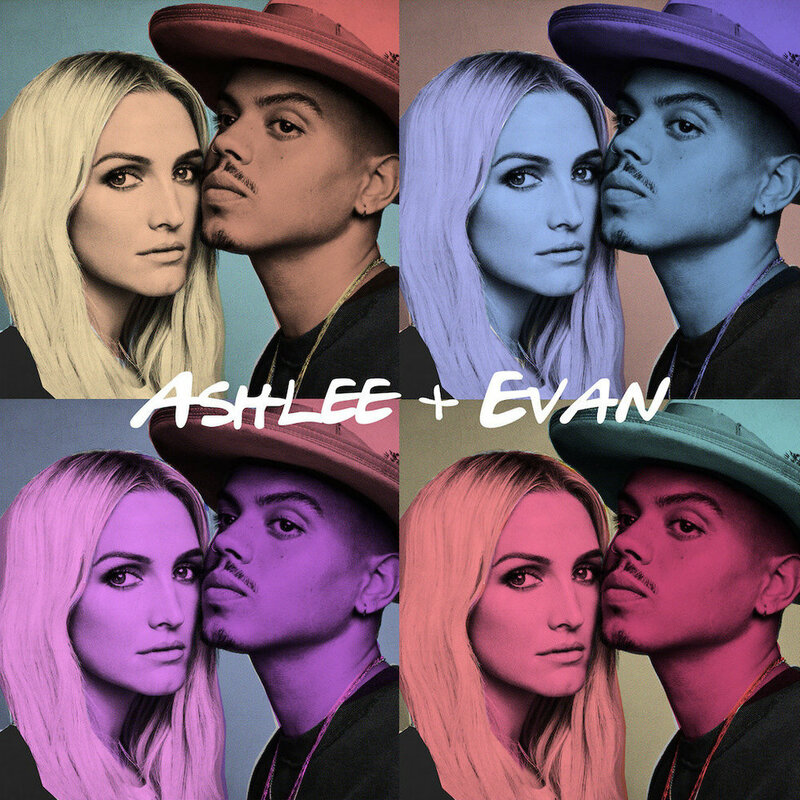 Under the name ASHLEE + EVAN, couple Ashlee Simpson and Evan Ross are using positive messages to make waves in the music and television world. They released their debut self-titled EP, including the hit single, "I Do," via Access Records. The single, along with 5 other previously released songs (Paris, Safe Zone, Tonic, I Want You, and Home), celebrate loving and healthy relationships and raising a family. The couple's documentary series premiered on E! in September, where they tell their in-depth stories in 6 full-length episodes. They also share their struggles of living up to their family names, as Ashlee is the younger sister of Jessica Simpson and ex-wife of Pete Wentz and Evan is the son of Diana Ross. The tour kicks off just after the new year. On Thursday, January 10, ASHLEE + EVAN will make their way to The Loft in Atlanta, GA for an intimate show. Their acoustic video for "I Do" gives listeners insight on what they could witness through their tour. Atlanta listeners are sure to be charmed! Tickets are available now - make sure to purchase yours while they last! Tickets available at www.ashleeandevan.com/tour. Keep up with ASHLEE + EVAN on social media here! The Driver Era Gives Their Everything In Latest Track "Feel You Now"
Cooper & Gatlin Talk New Acoustic Track, "Like You"
Indie pop band COIN is known for their ability to foster a sense of community in any city they step foot into. Their show in Atlanta was no exception, which was clear to any passerby near the Buckhead Theatre on Wednesday, February 6. A line of fans wrapped around the building as far as the eye could see - some had been there as early as 4 am. Lead singer Chase Lawrence was especially excited to be back in Atlanta. They played Buckhead Theatre a year earlier, but this time around, it was completely sold out. 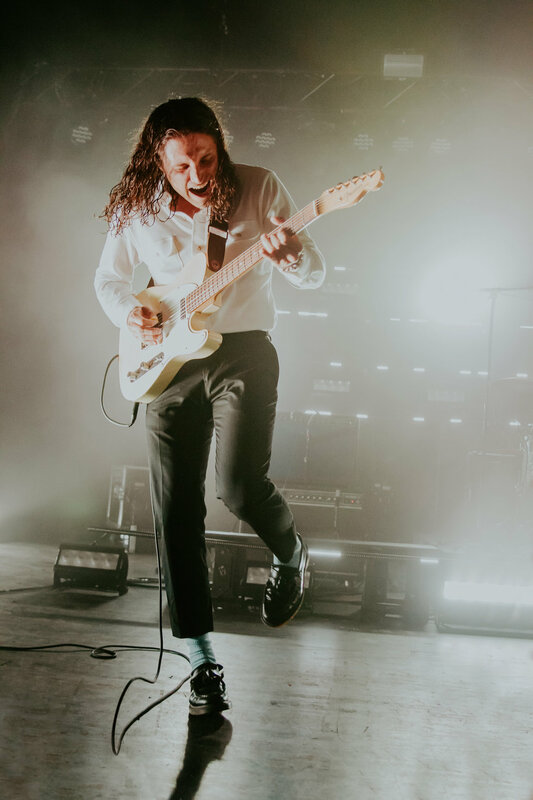 With the 2017 release of "Talk Too Much" from their most recent album, "How Will You Know If You Never Try," COIN began to rapidly gain popularity. Each single that followed proved their lyrical and musical talent. 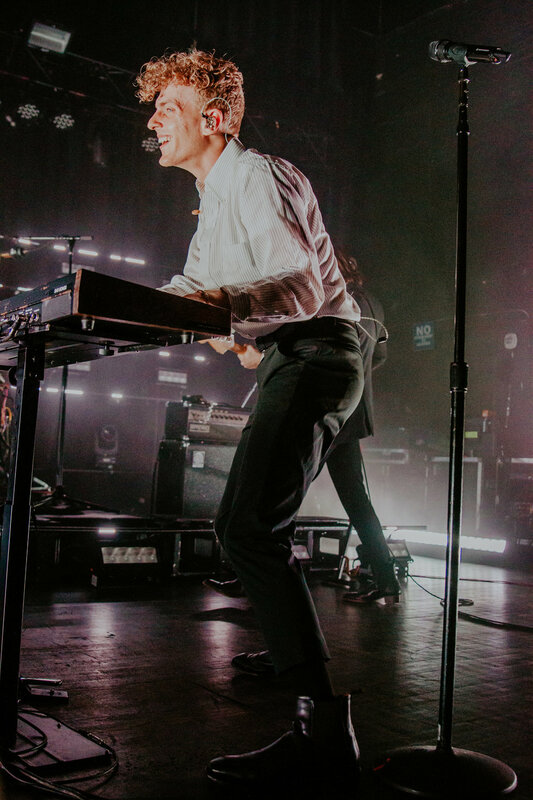 Following HWYKIYNT, COIN has been releasing newer singles, the most recent one being "I Want It All." 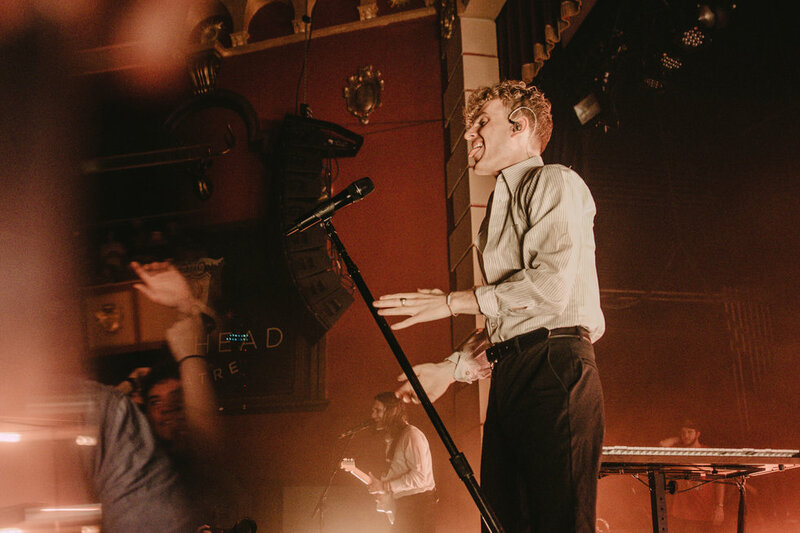 This tour has been all about showing fans the meaning behind COIN's upbeat, indie-pop sound and helping people feel at home. The phrase "Home is a COIN show" is popular among their ever-growing fanbase. In Atlanta, COIN proved this phrase to be true. Four Atlanta fans spoke about how much this show meant to them. How did you find out about COIN and what drew you to them originally? Burnie Stone: I found "Fingers Crossed" on an 8tracks playlist back in late 2015, and I liked their sound so much that I looked them up on Youtube. Eventually, I just added their entire first album to my library, and then "Talk Too Much" dropped, and the rest was history. Savannah Halberstadt: I found out about COIN when I saw them open for the 1975 in Knoxville a few years ago. Their energy on stage [was and still is] absolutely astonishing. I had never really fallen in love with an opening band before, but I completely did that day. What is it about COIN's music that made you continue to listen? What led them to becoming one of your favorite bands? Brittney Clark: COIN has a sound that is very different than a lot of artists you hear today. Most of their music is very upbeat but their lyrics hold so much meaning. 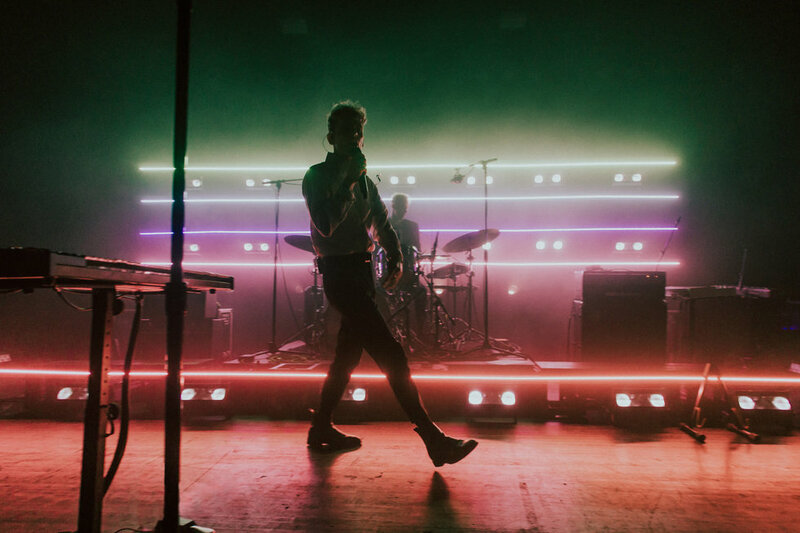 Rachel Cummings: No other music has impacted me the way COIN's music has. It's hard to put into words, but their songs mean so much to me. Screaming lyrics I love as loud as I can is an indescribable feeling. Burnie: I'm extremely picky with my music taste. If a song doesn't capture my attention within the first thirty seconds, I usually skip away, which is honestly kind of harsh on my part. But it was never like that with COIN; I was hooked from the very first note. Something about Chase's voice, and how it blends and layers so well over their beautiful instrumentals... it's hard to put into words. I'm never bored listening to their music, even if it's a song I don't particularly like—there's always something, a bassline or melody or a lyric, that makes me want to scream and sing along. How is a COIN show more meaningful from other concerts you've been to? Burnie: I've never seen a band perform with the same energy COIN does. From the second the lights dim and their walk on music starts, to the very last note, it's mesmerizing. All four of them work so well on stage together, completely in sync and having the times of their lives. I live for the glimpses of Ryan's smile when he's playing drums, or when Joe laughs at everyone on barricade for making faces at him. Their passion is exuded through their music, and their performance. 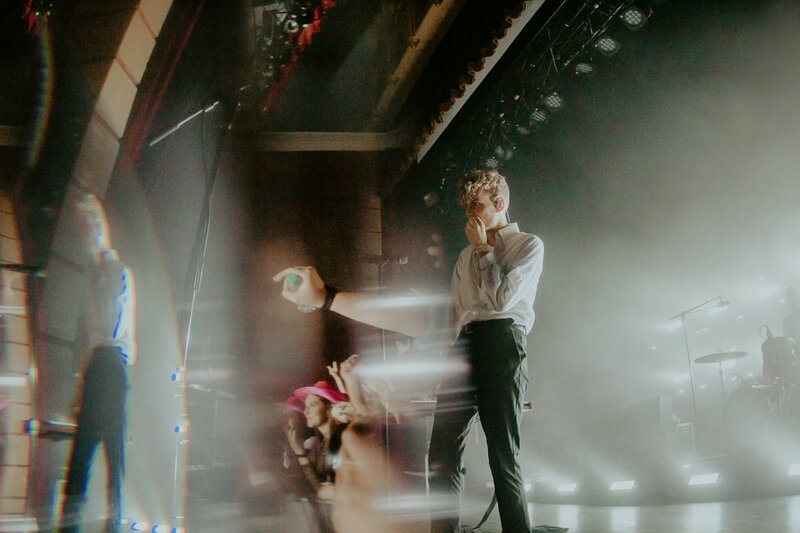 Not to mention the way Chase breaks down the boundaries that exist between the barricade and the stage, flinging himself at the audience every chance he gets. This sense of urgency he gives off, this sense of "this show isn't about me, it's about you, all of this is for you," I haven't found it anywhere else. There is no show like a COIN show. Brittney: COIN never fails to bring a smile to my face during their performance. You can easily tell how happy they are to be on stage performing their music. Every show I've been to, I can easily say how they strive to make everyone feel loved and at home. There's always so much emotion and happiness that you can always feel throughout their performances. Savannah: There is nothing like a COIN show. Everyone there is family and it really shows. Chase works so hard to make everyone feel so loved and appreciated. Chase is the kindest most incredible person I have ever met and that's a fact. I'm sure he is tired of hearing it by now but I genuinely mean it with every fiber of my being. How do the band's fan interactions make you feel? Burnie: Oh, I love them. It's my favorite part of the show. Chase is really good at making you fall in love with him: he dances and jumps across the stage, grabs fans hands and pushes the mic towards the crowd like we're the ones putting on the show. It's these little interactions that make me think of how much they care. Rachel: The guys really do an incredible job of interacting with their fans. It means so much to me that they continue to come out after shows and talk to as many people as they can. It shows how much they truly care about all of us. They don't have to stay out there late talking to us; they want to and it's amazing. What is it about a COIN show that gives you a sense of community? Brittney: The Atlanta show in particular really meant a lot to me. Over the past couple of months, I've been mentally struggling for a lot of different reasons. But getting to come to this show with my best friends and seeing COIN put on yet another incredible show, brings me so much happiness. I've realized how much COIN has truly changed my life for the better, and I'm so beyond thankful for that. Savannah: A COIN show is home. It doesn't matter what happened that day or any other day - all that matters is that moment and the music. Burnie: It's the people and our love for the band. There's this phrase that people like to throw around a lot, "home is a COIN show." If any other band were to try and use this phrase, it wouldn't work, and I would honestly snort and dismiss it. But for them, it works. It perfectly describes what it's like to be surrounded by your friends, celebrating the love you have for each other and the music being played. Those few hours I get to spend on barricade, laughing and singing at the top of my lungs, pressed shoulder to shoulder with the people I treasure more than anything else... there's nothing else like. Nothing at all. 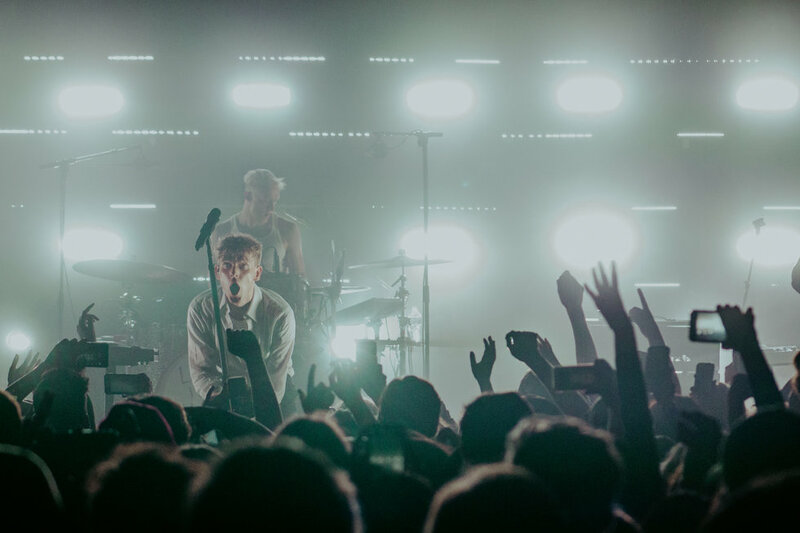 COIN's Paradise of Thought tour continues until March 1st. If you missed them at a city near you, don't worry! This summer, they'll be hitting the road with Young the Giant and Fitz and the Tantrums. Buy tickets here. For the full gallery of photos from this show, click here. San Holo's Perspective of New Single "Lead Me Back"
Hear Ilana Armida Open Up About Her New Single, "High No More"